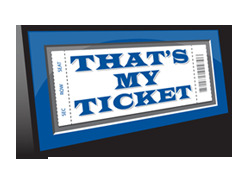 A Ticket Album is an archive for your tickets and is officially licensed by Major League Baseball. The 32 pages hold 96 tickets (tickets not included) and allow you to create a table-top display that will keep the memories of the games you've attended as fresh as the day you were there. 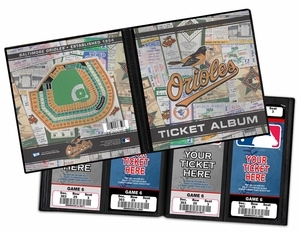 Tickets make a great gift and a Ticket Album can be a unique finishing touch to presenting them. So wrap ’em in style.